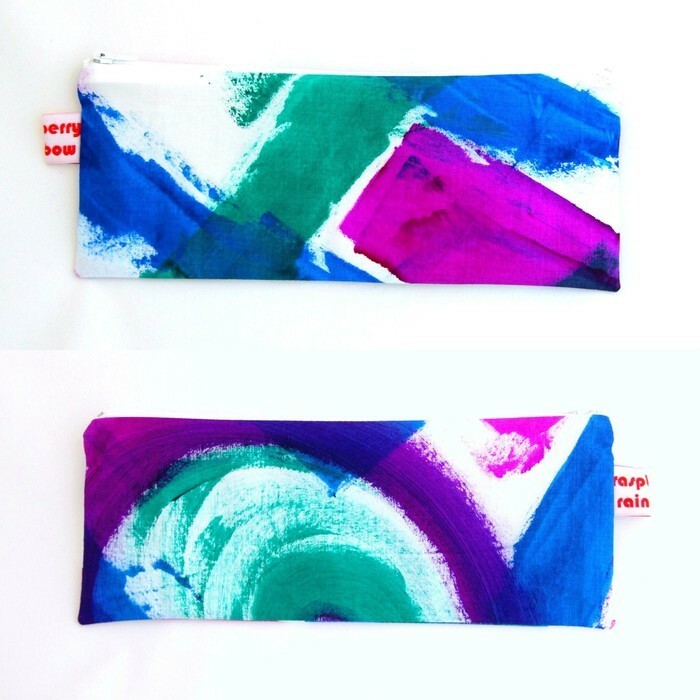 Hand painted fabric bags to carry stainless steel straws in, can also be used as a toiletries bag/make up bag/pencil case. They are one of a kind, completely unique, usable works of art. 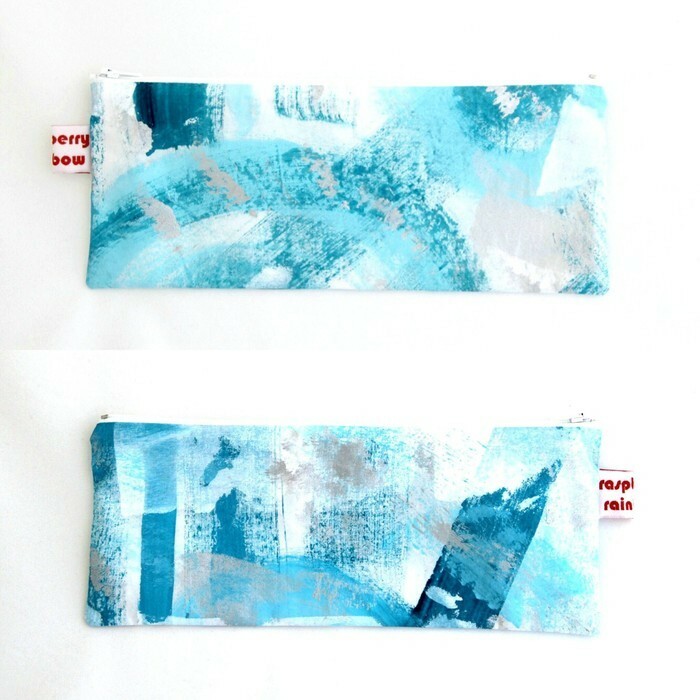 I paint a large canvas and cut it up to make each bag. 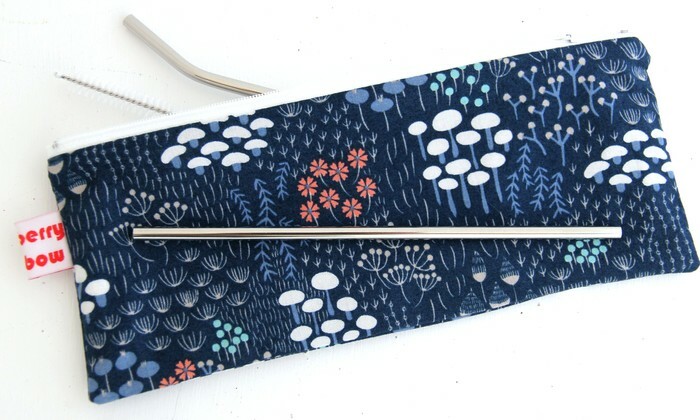 I started making this zippered bag size to hold a set of stainless steel straws and (light weight) cutlery when I am out and about. No more disposable straws or single use cutlery for us. The inside lining fabric is waterproof and can be wiped clean or put through the washing machine. These bags can be used as a toiletries or make up bag or as a pencil case. 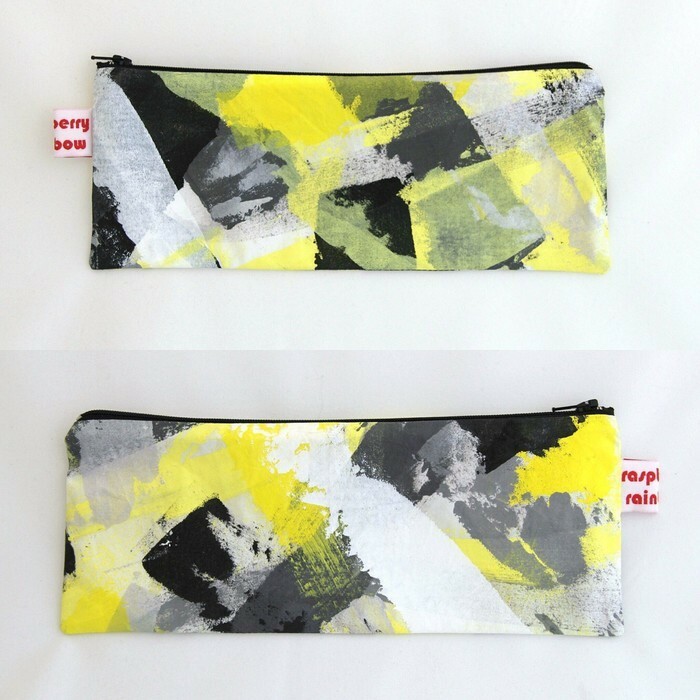 These zippered bags are finished and ready to ship. You will receive the bag you choose. Both sides of the bag have been photographed. They have ether a white or dark grey (almost black) inner waterproof lining. Outer fabric is 100% cotton and has been painted by myself with eco friendly fabric paint. Bag dimensions (approximate) 26cm by 10.5cm (10.25 inches by 4 inches). I am selling stainless steel straws and cleaning brushes also. This listing is for a zippered bag only and does not include any of the props in the photos. A new YKK zipper has been used. All inner seams are double stitched and overlocked. 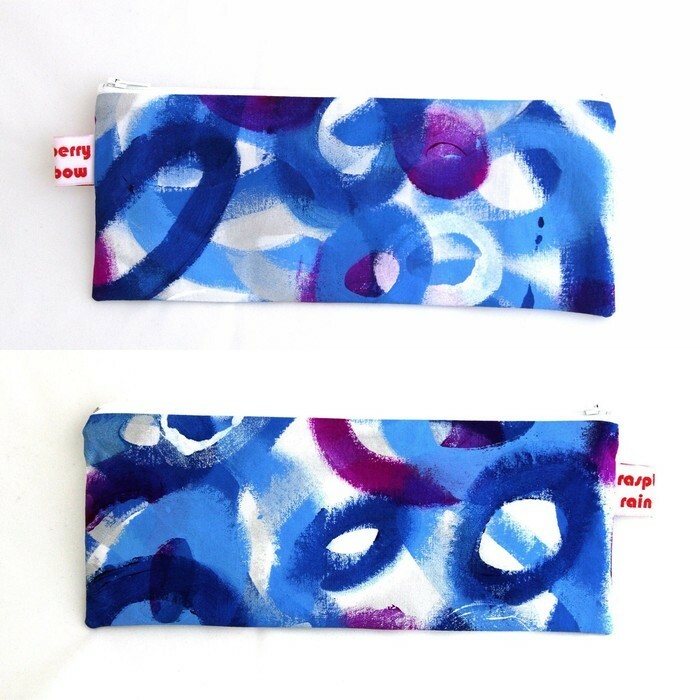 My zippered pouches are made to last and to be used and loved for many years. I am still using the very fist zippered bags I made over 8 years ago. 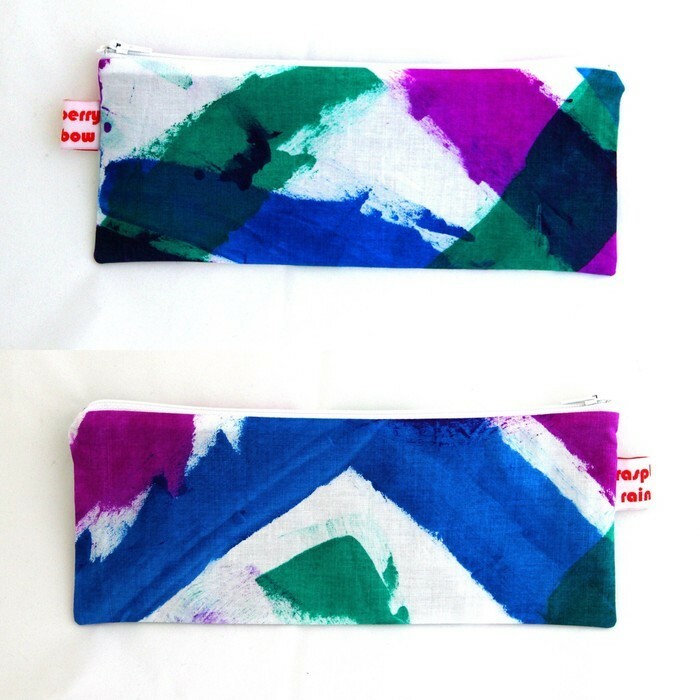 These zippered bags can be washed on a gentle cold cycle (or warm, not hot) and line dried. Iron them after a wash for a lovely crisp look. Free postage within Australia. If you buy more than one item and are over-charged postage, I will refund the extra. For international orders, it is difficult for me to estimate the exact postage cost for every country, if you have been charged more than what it actually costs, I will refund you the difference. The colour displayed on your monitor may vary slightly from the finished product. Thank you for visiting the Raspberry Rainbow. I will post anywhere on the planet, please ask for a postage quote for your part of the world so I charge you the correct amount.